Investigative tools, procedures, and resources used by private investigators are very similar in the private and public sectors. For property to be seized or restrained, most jurisdictions require evidence of probable cause which demonstrates that the property was acquired through some sort of illegal activity. A couple techniques used for private investigations include search warrants, surveillance, garbage pickups, and internet and public record data searches. Typically, search warrants are used to obtain evidence or contraband by searching a person and their private property. A court must order the search warrant specifying when and where law enforcement agents may search for specific things. Although, depending on the jurisdiction, different laws may apply to the execution of the search and how the warrant is obtained. Computers, specifically the data and electronic information stored in them, are often seized through search warrants. 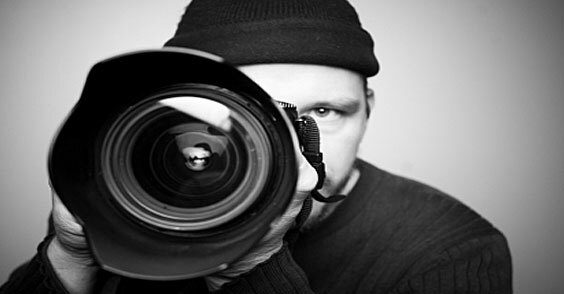 Surveillance is used by both public and private investigators to assist them with their cases. It can range from the use of electronic recording devices to a simple drive-by of a property or residence. However, the more invasive the surveillance is the more likely judicial approval will be required. Electronic surveillance, such as the use of listening devices or wireless intercepts, usually requires a court order if the surveillance invades the reasonable expectation of an individual’s privacy and is mostly only available for use by government agents. Surveillance in general is used specifically to observe and record details about an individual’s lifestyle, interactions, and daily activities. For example, an investigator might conduct surveillance to locate bank accounts, real property, brokerage accounts, boats or cars. Garbage pickups are another procedure used by investigators to obtain information. However, in order for the information to be legally admissible, the process of acquiring the information must be proper in the jurisdiction in which it occurred. Most jurisdictions allow garbage to be collected and examined after it has been abandoned. The general rule for garbage to be examined without a warrant is that once the trash has been placed in a public area for collection it has been abandoned. One issue with abandonment has to do with curtilage, or rather the land within a dwelling or business in which there is an expectation of privacy. For example, the curtilage of a house would be the front, back and side yards. If garbage is placed in cans within this space it is not considered abandoned. But if the cans are placed on the curb an investigator has the right to collect any garbage within it to analyze and use as evidence. However, if a pickup violates the curtilage then lawsuits, trespassing charges, or inadmissible evidence may result from it. Lastly, the use of internet and public record data searches are used in private and public investigations. Social media specifically has enabled people to access individuals’ personal information in minutes. Today, a simple internet search can provide an individual’s current residence, birthday, phone number, employment information, and the names of family members and other people that said individual has relations with.